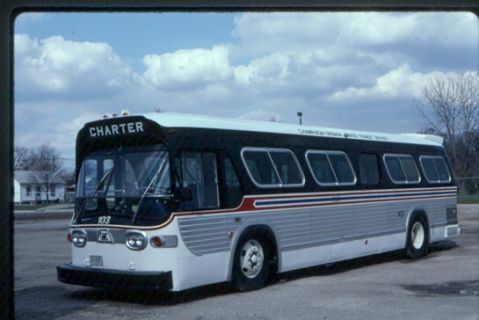 CUMTD #103 at the MTD garage on April 13, 1997. Buses in the 100 series are lift equipped and have had most seats removed. The bus is intended for wheelchair service. Photograph taken by A.J. Reinschmidt.